I had the great fortune of being able to locate halibut cheeks at our local supermarket this week, which called out for a barbecue. We cranked up the Weber Grill, mixed up a marinade of olive oil, lemon, and salt — just right for grilled halibut – and drizzled some fresh local asparagus with olive oil to grill as well. All of this grilling was not going to take much time. 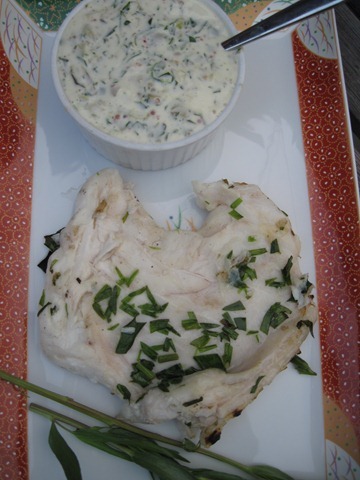 I wanted to make a tartar sauce – so delicious with any white fish – and quickly whipped one up. It really takes no time at all and the fresh taste is oh so much better than the store-bought kind. There are many variations on the recipe for tartar sauce; the simplest being a mix of mayonnaise and chopped pickles. Tartar sauce often conjures up old fashioned and stodgy – something Grandpa enjoyed. Making fresh tartar sauce with fresh ingredients however, can be as simple or as complicated as you want it to be, and the result always brings out the best in the dish it is intended to complement – definitely non-stodgy! 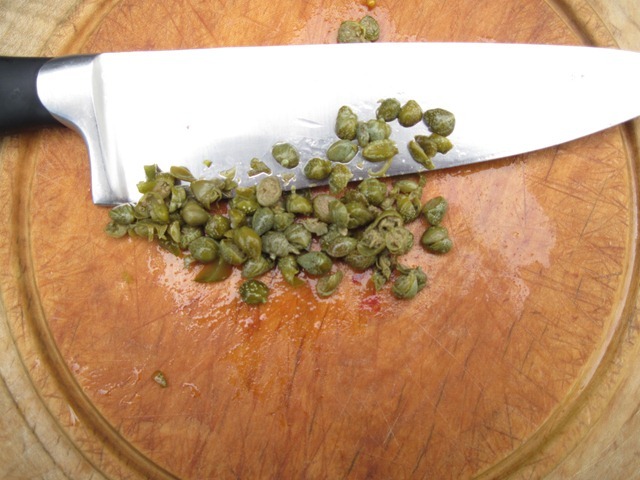 Elaborate recipes give instructions for making one’s own mayonnaise and include chopped onions, scallions, a mix of spicy herbs and hot sauce. 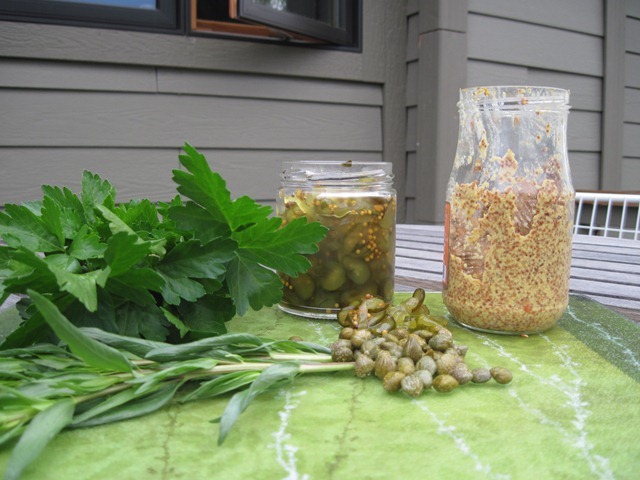 I typically use what I have readily available in my larder which is usually, but not limited to, capers, sweet pickles, parsley, tarragon vinegar and mustard. 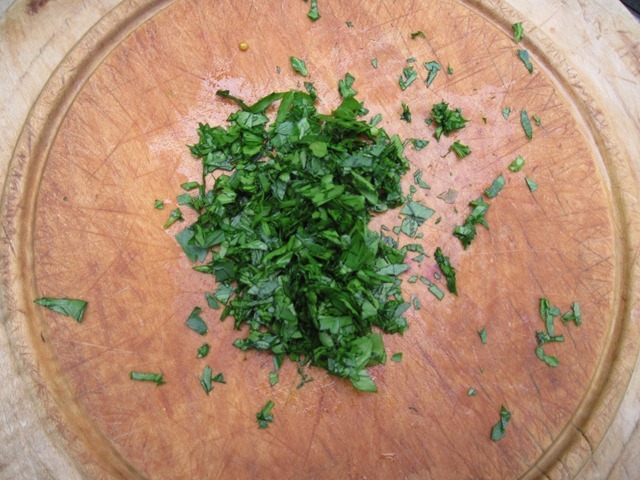 Use onions, scallions, shallots and other herbs to add more complexity, if you have them. Place all ingredients in a bowl, mix well to combine, and let it steep while the grilling gets underway. Wow, I’ll definitely make this one this summer!! We go fishing every year for halibut, and this will be perfect!